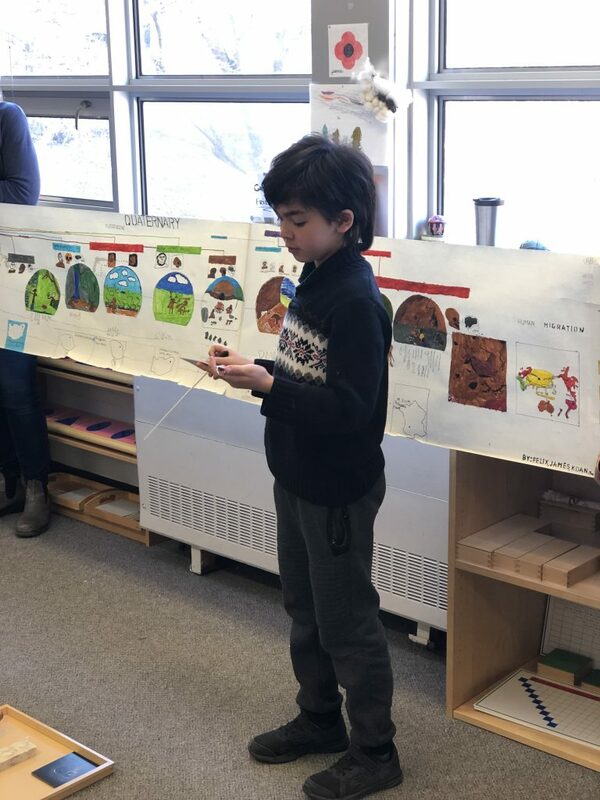 Three of our grade four students spent a week making a timeline of human evolution. Beginning with the arrival of humans in the Pleistocene Epoch of the Quarternary Period, they traced our development through geographic, climactic and evolutionary change that modern humans evolved in accordance with. 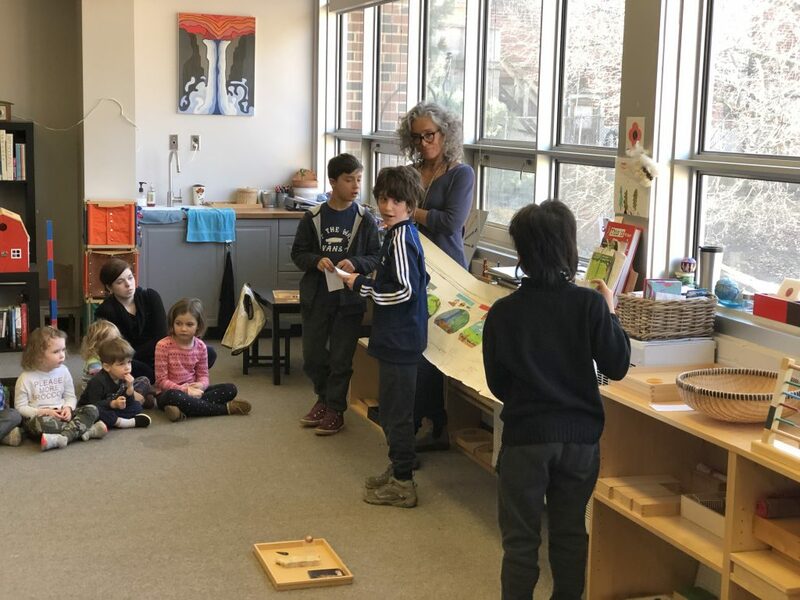 When they were finished, they presented their project to their forty casa peers, aged two and a half to five years.